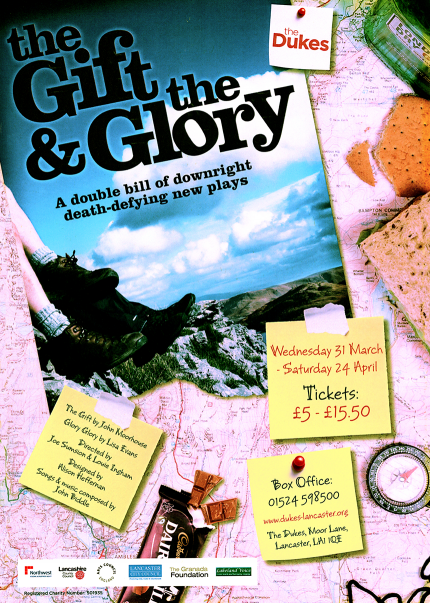 Using song and dark humour two women, bunking off from singing rehearsals, explore their fear of age and losing the plot as they climb the fells to Codale Tarn above Grasmere. Can play as a one act play or in tandem with The Gift. Introduces Tom and Jed, old friends from school, as they revisit a favourite fell-walking route around Grasmere, possibly for the last time.